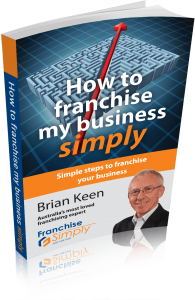 Is Your Small Business Ready to be Franchised? Is My Small Business Franchise-Worthy? Home → Articles → Is My Small Business Franchise-Worthy? Owning and running a business can be exciting, rewarding and lucrative – successfully master the right formula then the world is your oyster. Becoming a franchisor is no different. Franchising is all about working to a tried and tested system in order to replicate the success of the original business. It’s a good growth strategy but it’s not for everyone. When you thought about the pros and cons of moving from employee to business owner, you had to learn a new set of skills. Similarly, the transition from business owner to franchisor requires application of a different skill set and knowledge base. Let’s contemplate 5 key questions you should ask before you take the plunge. Is your business organised, systemised & process-proof? Could your business run efficiently and profitably without you in it? When an employee is absent, can someone else step in and complete their tasks if necessary? Being able to delegate tasks effectively is the foundation of being able to manage growth in any small business franchise. And delegating tasks cannot happen unless your business is well systemised. Your franchisees need the same recipe and formula you positively established and executed and unless you have created documented systems around the most simple to the most complicated tasks, then a franchisee will not be able to duplicate your recipe and build their own success. Is your brand strong, clear, independent & protected? Many business owners build a business and a reputation around their own personal brand rather than the business brand. If your customers only want to deal or speak to you, feel like their connection is with you and that the service level or product delivery is not the same without your involvement, then your customers are linked to you not your business. But to delegate your business to your franchisees, your brand needs to stand on its own. Customers need to recognise your brand and associate it with the great service or product you provide to meet their desires and needs, regardless of who is representing it. If you are confident your business brand is self-sufficient, is it protected? Registrations, trademarks, patents? Franchising is a people business, you are entering into a business partnership with your franchisees. And choosing the right franchisee to duplicate your business is crucial. Your franchisees need to be able to deliver your service as you would – with care. They represent your reputation and all you have worked so hard to achieve. In turn, your franchisees will be looking to you for leadership. You see, as a franchisor, you will have moved from delivering your service or product to looking after your new client base, your franchise business partners. The people you choose need to share the same passions, vision and drive as you when you started out. Are they committed to your success as well as their own? Most importantly do they have the ability to pick up the business skills required to run a business as well as the skills to produce the product or service? Are you & your business financially stable? Profitable businesses have been known to go broke as they move into a business growth phase. Using the franchise model for growth is one of the most cost-effective ways to achieve growth but the initial stages can be an expensive process. Setting up the systems and processes, recruiting, training, franchisee support, advertising, travel… do you have the funds to get you through? And finally, are you prepared to seek expert advice? So many people think franchising a small business is just a matter of having a good product and then getting a lawyer to draft a legal agreement to use with your franchisees. The thing is, that legal agreement will not be worth its weight in salt if it is not drafted to take your specific franchise structure into account. And any franchise lawyer worth their weight in salt will not take on the task of producing an agreement if they cannot get answers to a long list of specific questions covering many business issues. The franchise business model involves changing many business aspects. Is your brand right, do you fully understand the marketing responsibilities you will take on as franchisor, have you carefully worked out your fee structures so that there is money in the pot to ensure the profitability of your franchisees and your franchisor business, do you know exactly what support you will need to provide and how much that will cost you, how about training, and what about territories? This list is specialised and each aspect needs business advisors who understand not only their discipline but also how it applies to a franchised business. So engage a good franchise mentor to teach you about creating a successful franchised business who works with a reputable team and what better way to simplify the process than with the expert team at Franchise Simply!